You are invited to join U. Lab, a free, global, online course, or MOOC, looking to develop skills around collaboration, co-production and thriving in the emergent future. It champions the use of improvement science. 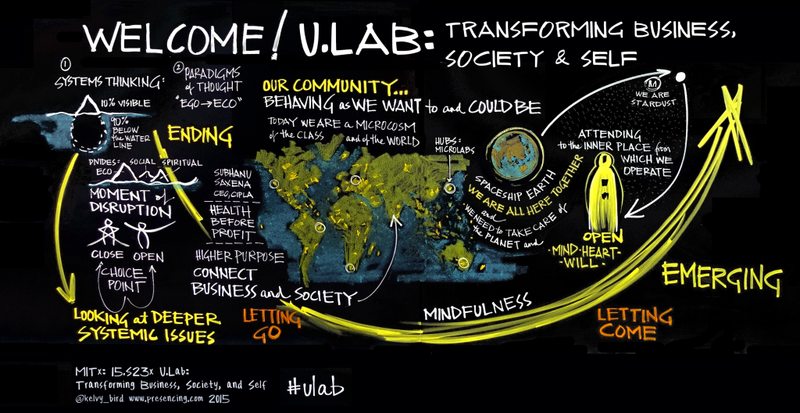 U.Lab builds the quality of our awareness of ourselves and of the context we are working within. Given the priority which the First Minister has given in the Programme for Government to increasing participation it is well aligned with our operating context right now. Scottish-specific content will be available to participants with an interest in Scotland. Following a discussion within Scottish Government in May 2015, 180 people from all over Scotland joined an open event in Edinburgh on 1 June; and a further 280 participated in an open event on 3 July 2105. We had around 200 people attend a final preparatory event on 1 September 2015. 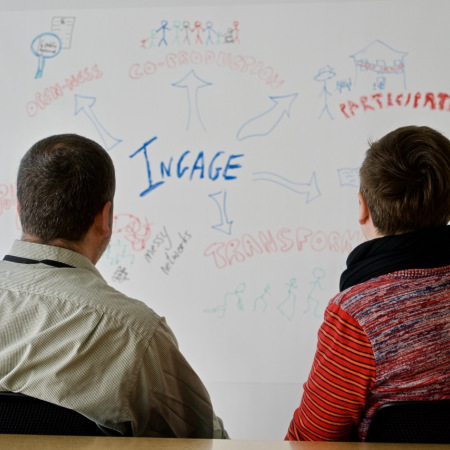 There is growing enthusiasm and energy for the programme, which will be organised and facilitated by the Scottish Government, helping to create the conditions for people in communities and networks to take action on issues that matter to them. You can catch up on the conversations generated on Twitter at #ulabscot and join us on Facebook. You might also want to watch this short video from the 1st June 2015 event. So far, people are talking about using U.Lab to develop ideas such as health & social care, climate change, rural issues, food, tackling inequality, dementia, social justice, energy generation, children and young people, leading organisational change, and encouraging socially responsible economic and business models. Participate yourself in U.Lab. It will require at least 3 hours per week of your time – much of it done online at times that suit you and some of it done in small groups (once per week). Sign up for the MOOC on the Ed-X website. There is also a short video on how to register for the Scottish content. You might want to take a further step and host a hub – a meeting place for participants to engage together in the live sessions and collaborate as they bring their ideas into action. You may also enjoy reading some blogs about U.Lab 2015 on the U.Lab Scotland website.